I go through different shopping phases through different seasons. Last year around fall and winter I was ALL about booties. Classic black booties, grey booties with tassels, maroon booties with fringe, the list goes on. This year, I’m all about over the knee boots. Also known as OTK boots (did you just have an ah-ha moment!? Have you seen people talk about OTK boots and you had no idea what they were talking about? Well, congrats. Now you’re in the fashion lingo loop). OTK boots can be SO fun to style and I love the versatility that comes with styling them. Wear them with skinny jeans or with a fun dress. Not to mention, they keep your legs warm! For this outfit post, I decided to pair a dark neutral OTK boot with burgundy jeans and a fun ruffled sweater that I found at Zara. (I also found this identical ruffled sleeved sweater at Nordstrom too, same color and everything!) 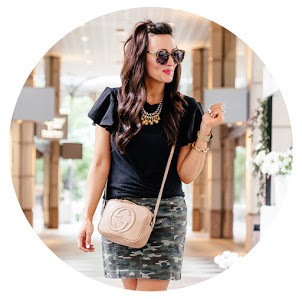 Totally duplicatable and an easy everyday look that anyone can wear. Moral of the story? You need a pair of OTK boots in your essential wardrobe. Done. End of story. I’ve found and linked a couple of other pairs at the end of this post that are super cute and would make any outfit ten times more stylish. I find the boots for you, you do the shopping. It doesn’t get easier than that.